Meditation. Many people are talking about it, but when you try it at home, you can’t make sense of it. So how and why do you cultivate a regular meditation practice? First, to begin to meditate, you only need one thing: willingness to try. You don’t need a special cushion. You don’t need to be religious; and you don’t have to completely clear your mind of all thoughts. Meditation can be done anywhere when you have ten minutes to yourself. This could be while waiting in the carpool line, while washing dishes, or even sitting in your car in the parking lot at the office! 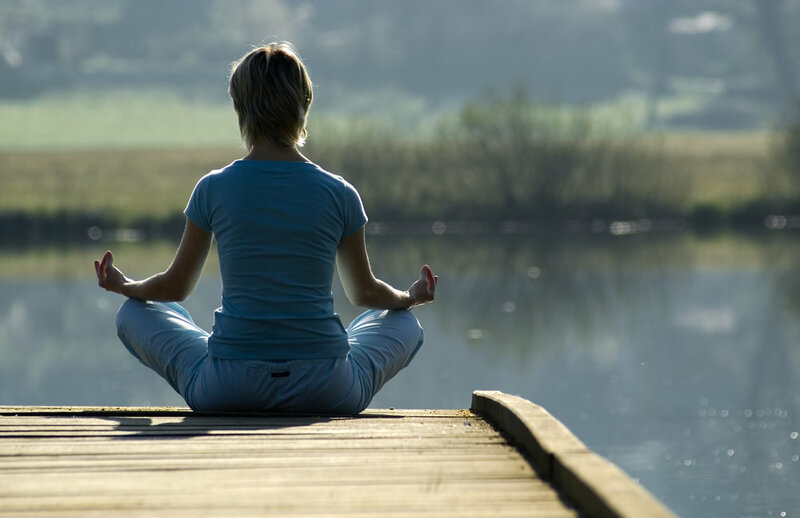 There are many different types and varieties of meditation. To name a few, there are guided meditations, sound, breathing, and full body scan meditations. It’s fun to explore the different techniques to see which works best for you. Enjoy the process. Start with five minutes of a breath based focus. Set a timer. Close your eyes. And, just begin. As you inhale, mentally say to yourself, “I am inhaling.” As you exhale, mentally say, “I am exhaling.” If you get lost in wandering thoughts, And again. Just like training a puppy, you guide yourself back each time, with kindness and compassion. Just keep going! Over time, your your mind settles into meditation much more quickly. With just eight weeks of regular practice, you can dramatically increase gray matter in your brain, increase memory and focus, decrease anxiety and stress. And, even though the stressors of life never completely go away, meditation will help you to deal better with them. By raising self-awareness and calming your mind, you are better equipped to tackle the tough times.